An Artesia native was recently selected for a statewide ethics award recognizing his work to promote good ethics in business and the community. 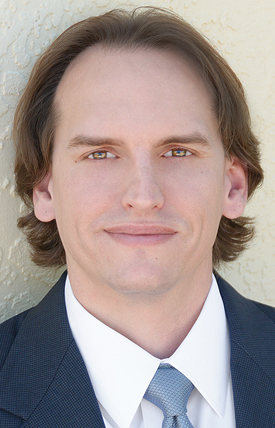 Grant Taylor, a 1999 Artesia High School graduate, was named the 2016 recipient of the Ethical Young Leadership Award, one category of the annual New Mexico Ethics in Business Awards presented by the Samaritan Counseling Center of Albuquerque. “Everyone involved in the Ethics in Business process was impressed by the wonderful work that you do for the community and all the ways that you exhibit exceptional and outstanding ethical practices,” the letter sent to Taylor notifying him of his selection read. Selection of each year’s New Mexico Ethics in Business Awards recipients is a months-long, rigorous process. In August, the call for nominations is closed and nominees are vetted by a committee for eligibility. Nominees are then forwarded to student groups in an ethics in business course at the UNM Anderson School of Management. Throughout the semester, students conduct research on the nominees as part of their curriculum and write a final report of their findings. The students’ research reports are submitted to the awards’ selection committee, comprised of independent community and business leaders who conduct further review and research of the nominees and determine the recipients. The 17th Annual New Mexico Ethics in Business Awards will be held Wednesday, April 27, at Hotel Albuquerque. Registration and networking begins at 5 p.m. Proceeds of the event underwrite the Samaritan Counseling Center’s charitable mental health and educational services as well as further the study of ethical business practices for students at the UNM Anderson School of Management. Artesia businesses and residents are invited to participate as sponsors and attendees. Taylor has also been recognized as the 2011 Outstanding Young Man by the Hobbs Jaycees, as a 2014 40 Under Forty honoree and as a 2015 Top CEOs honoree, both by Albuquerque Business First. While attending Artesia High, Taylor received the 1998 Bulldog football Sportsmanship Award, Daughters of the American Revolution Good Citizen Award, and Principal’s Leadership Award.